In a graphic-intensive, visual medium like video games, it's an art in itself to craft a story out of small threads and a smattering of copy on a screen. The Weather Factory makes it look easy, even though it's anything but. “Show, don’t tell” is one of the core tenets of crafting a compelling narrative: pull readers into the scene by letting them witness the events taking place in a story. In fiction writing, this usually means relating scenes as they unfold, rather than telling the reader what exactly is taking place in each page. But as a visual medium, many video games have relied on visual bombast to convey the goings-on on screen, sometimes stretching the medium to its extremes. It’s why Bethesda would rather you bask in the burning ashes of nuclear fallout in Fallout 76, or why Naughty Dog showcased violent, grisly imagery in a trailer for The Last of Us 2 last year. Studios are racing towards producing hyper-realistic environments and lifelike characters—which are visually astounding, of course—but at times they fall short of creating worlds that can truly be engaging and immersive for players. Conversely, using words to spin an expansive tale—particularly with the minutiae of supernatural encounters and celestial worlds—is at the heart of British studio Weather Factory, which was established by Failbetter Games co-founder, Alexis Kennedy, and former Failbetter Games producer, Lottie Bevan. 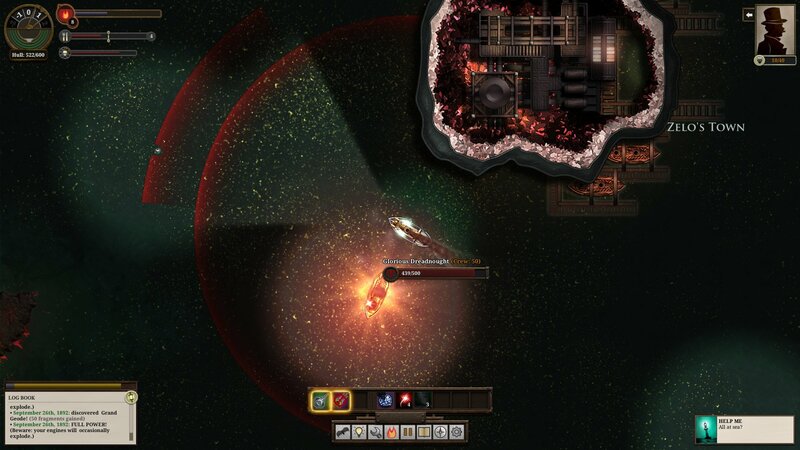 They each had a hand in writing and developing the browser-based narrative gem, Fallen London, as well as Sunless Sea, a critically acclaimed title set within the same universe. 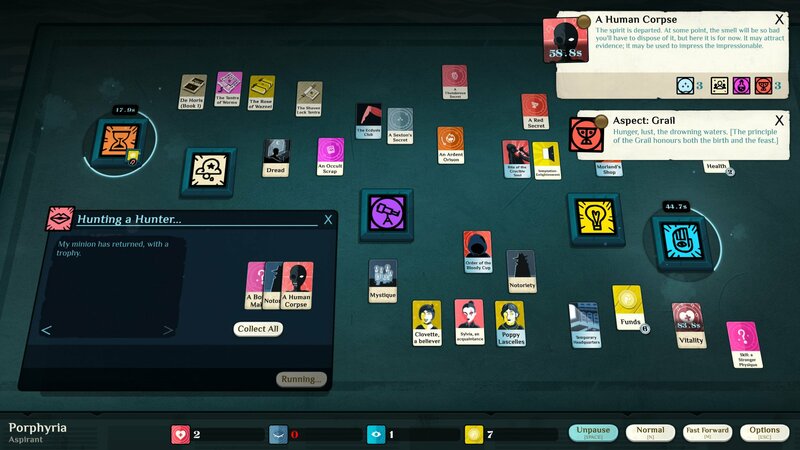 The duo spun up Weather Factory to create Cultist Simulator—a narrative-driven card game—which was released in 2018. All these titles are primarily directed by stories that are told with poignant, expressive prose, setting the stage for players to embark on wondrous journeys into the terrifying unknown. The decision to heavily lean towards words, instead of graphics or illustrations like many modern titles, stems from a love for narrative games, rather than a commercial or strategic decision to distinguish their games from the rest. “The games, digital and analogue, that had most inspired me—[David] Dunham's King of Dragon Pass or [Dave] Morris and [Jamie] Thompson's Fabled Lands—used evocative language and very simple graphics with a strong system to tell stories. That stuff is what presses my buttons,” said Kennedy over an email interview. But for video games that prioritize text over elaborate graphics, some passages can verge on being too verbose, which can turn reading into a chore. Kennedy quoted famed game designer, Sid Meier, who once mentioned that there are games where the designer is having more fun than the player, and where the writers are enjoying themselves more than their audience. Such was the manner in which the nautical voyages of Sunless Sea are told. Whilethe paragraphs detailing the journey are concise, they remain vivid enough to let players fill in the gaps between the scenes with their own imagination. Take for instance the paragraph on a deserted island, Mount Palmerston, in Sunless Sea: “Sullen lights glow green at the jetty’s edge. Far above, the mountain’s top flickers red: just for an instant.” These words already suggest a vision of a deserted island—one that’s imbued with a mix of both startling beauty and foreboding dread. 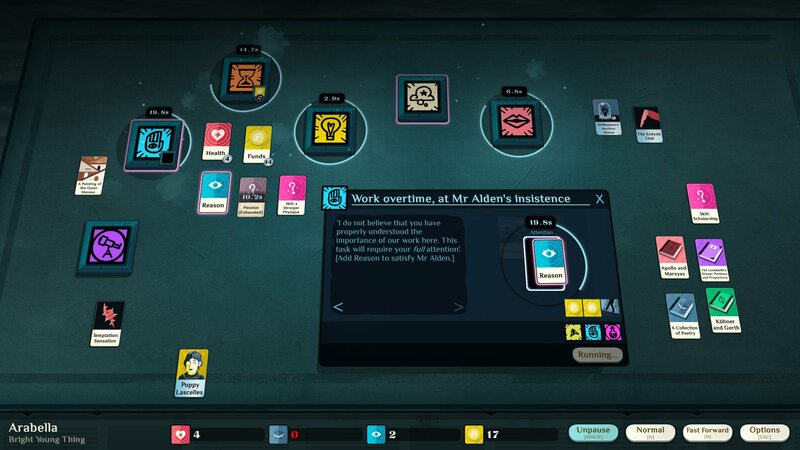 Learning from these experiences, Kennedy decided that their next game—which turned out to be Cultist Simulator—should be “pithy, minimal and evocative”, much closer to poetry than prose. “The other consideration was that Fallen London and Sunless Sea were incredibly hard to localize, because there are just so many words. 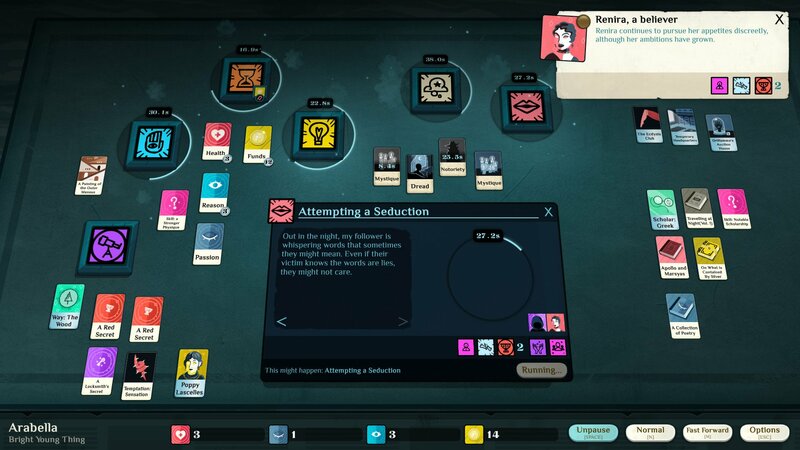 So Cultist [Simulator] was actually 25 percent of the word size of [Sunless] Sea, although it's doubled since launch as we add content.” he remarked. Given the lush setting of the universes both Kennedy and Bevan have spun in their games, I thought world-building—or “setting design” or “backstory” as Kennedy preferred—came naturally to the duo. Their approach felt markedly distinct to that of their peers. Consider open-world titles like The Elder Scrolls or the Mass Effect series; part of their world-building efforts are found within books or compendiums in-game, which can span up to thousands of words—plenty of which felt like studying weighty tomes about world history. Despite the fantastical settings of their narrative games, it’s Weather Factory’s depictions of mundanities that land the greatest impact: the frustration of arguing with a spouse; the tedium of learning a language; the thrill of attending dinner parties; or the struggles of coping with harrowing despair. Perhaps it’s even the precarity of these worlds, often fraught with danger, that makes these events feel particularly poignant. Kennedy commented that in open-world games, the focus is usually on technical features like physical traversal, object manipulation, or even dialogue branches. In contrast, these ordinary moments are relegated to a cut scene or, in his own words, diminished to a “press-x-to-see-animation” function. Instead, he wants to focus on depicting these scenes through Weather Factory’s games. Be it literature or video games, giving the audience the opportunity to actively participate in these works—when they can create vivid mental images through evocative language—will only draw them closer to the world tucked within these scripts. 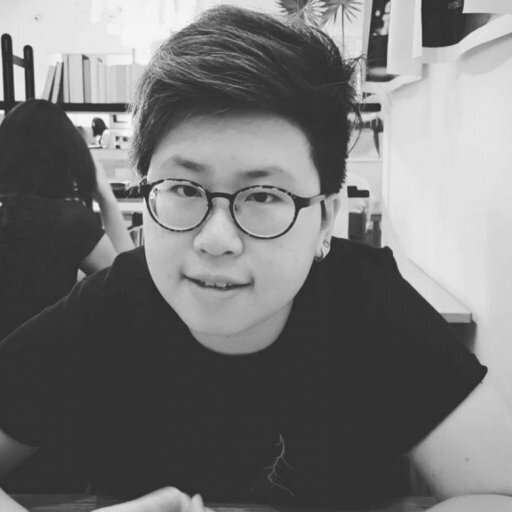 Khee Hoon Chan is a freelance writer and copywriter from Singapore. She has written for Unwinnable, PC Gamer, Polygon and other fine publications. Ask her about the weather on Twitter at @crapstacular.